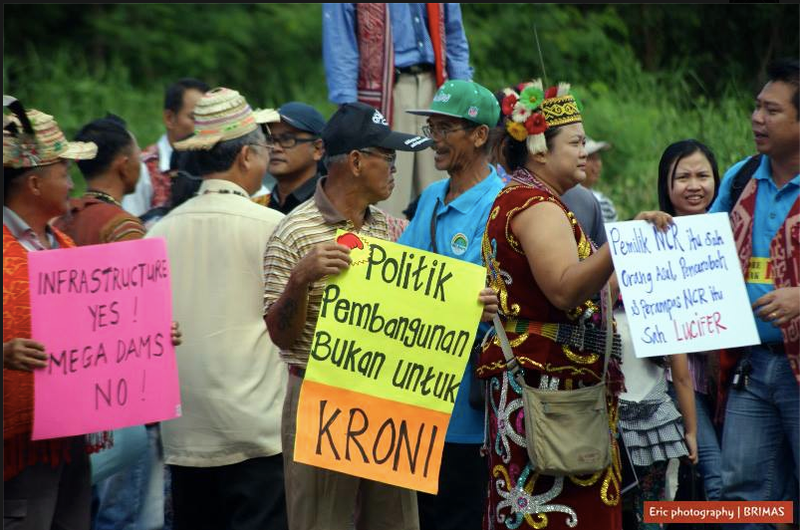 As past elections have fully demonstrated, Taib has already completely lost the support of the townships in Sarawak. Those seats went in 2011 and they did not come back in 2013. The potentate, who is making plans to shift his power into the Governor’s palace and set someone else in the firing line as Chief Minister, already lives surrounded by people who hate his corruption and who vote against him. Yet the people who dared to march on Human Rights Day had come into the towns from indigenous areas. If these communities are also deciding that enough is enough, then Taib is cooked, Governor’s Palace or no. Sarawak provides an exaggerated form of the wider Malaysian electoral corruption and gerrymandering. A small number of vast urban seats contain tens of thousands of electors, while scores of rural seats have just a few hundred voters, whom Taib’s agents make sure to keep poor and then bribe and blackmail into ‘doing the right thing’ on election day. So far they have tended to cooperate, not least because ‘trouble-maker’ communities have found it almost impossible to register as voters, thanks to BN’s abuse of power. It is also well known that change generally comes last to rural areas. Isolated communities are slower to embrace the new ideas around them, especially if they are vulnerable and poor, with mainly older voters. But, usually they get there, if it is in their interests. And with his determination to displace tens of thousands with his hydro-power ambitions Taib may well have crossed a line that will end their loyalty. The Chief Minister/ Governor-In-Waiting ought to be wondering if these unprecedented demonstrations were a sign that the political change that has already arrived in urban areas are catching on elsewhere? Perhaps he thinks it doesn’t matter. That rural folk can vote how they like, but he will always record the result he wants? 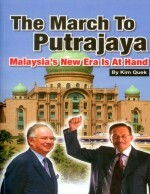 (His family newspaper, The Tribune, reported on rallies in Cambodia not back home in Kuching). 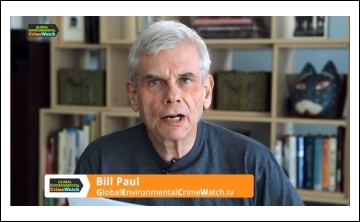 But, if his actions are forcing these people on to the streets, such arrogance starts to betray a complacent attitude. The attitude of an old man too used to having things his way for far too long. 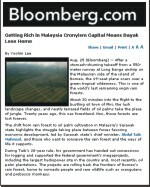 Taib has brought roaring change to Sarawak, mainly to make money for himself. But, it is not the kind of change that has been good for most people. The timber and much of the native land has already gone to plantations. But, now the CM is going a step further. He is destroying the rivers and uprooting thousands so that he can start massive industries manned by foreign workers, the so-called SCORE hydro-power programme. This is the sort of disruption that even the most inward looking rural communities cannot ignore. 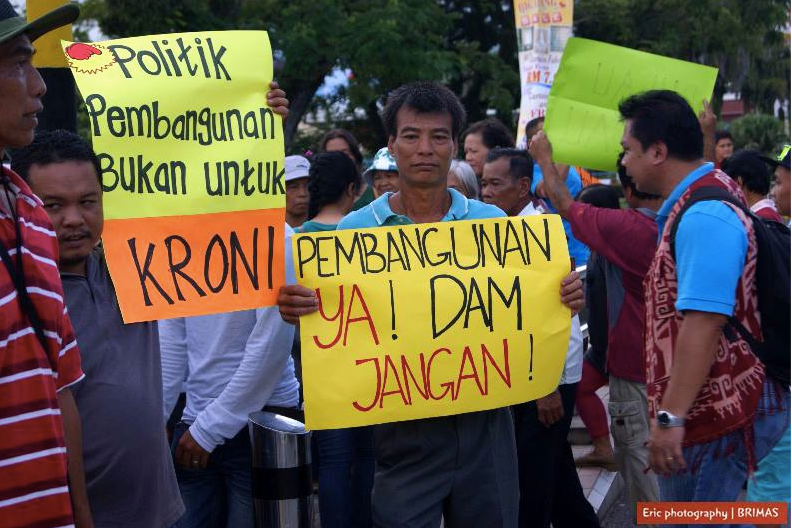 And the examples of the past victims of Taib’s dam building are there to inspire fear not envy – all those communities are complaining about the negative impact and the broken promises. Is Taib too old to realise how these days news travels? BN agents may cajole the headmen. 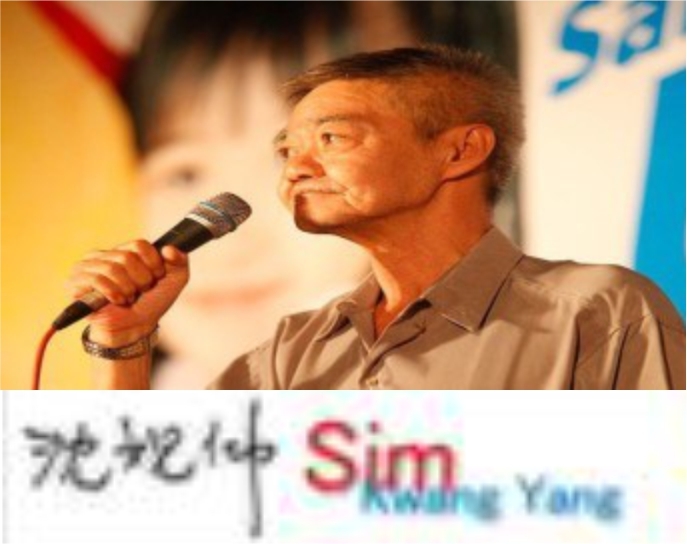 BN newspapers, TV and radio may promote ‘SCORE’ with endless positive spin, but the opposite message is now reaching concerned communities in Baram and Baleh and beyond, especially from the towns, where the the opposition parties now have their base. DAP and PKR and NGOs are pointing out that Taib’s unpopular plans to “modernise” them by destroying their lives do not have the support of the rest of the world, because they violate human rights. They are informing rural people that BN’s methods do not come up to scratch against expected norms. They add that communities should be consulted, compensated and treated as equal if not superior decision makers in these plans to change their lives. And naturally, worried rural folk are tending to agree. In a statement on 26th November leaders from Baram protested against the state government’s constant jibe that their resistance to the dam projects is purely the consequence of ‘orchestration’ by foreign NGOs. This statement, signed by several rural leaders in Baram, showed very considerable awareness on the part of rural folk. Doesn’t this worry Taib at all? 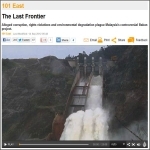 In fact the statement goes on to mock Taib himself for being the one in the thrall of foreigners, by pointing out his dependence on outsiders, like the highly paid Torstein Dale Sjotveit, to implement his grandiose hydro-power schemes. Next stop, voting for the opposition? 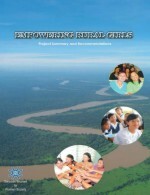 Another important report was released at the end of last month by the NGO Sabahat Alam Malaysia (affiliated to Friends of the Earth) pointing out the ”continued failure of the country to introduce the necessary reforms to its policies and legislation in order to ensure that they are aligned with judicial decisions” with respect to native rights. It is a reminder that the Chief Minister has already lost the argument over his land ‘reforms”, even though he is now taking on tens of thousands more rural people to force through his dam projects. 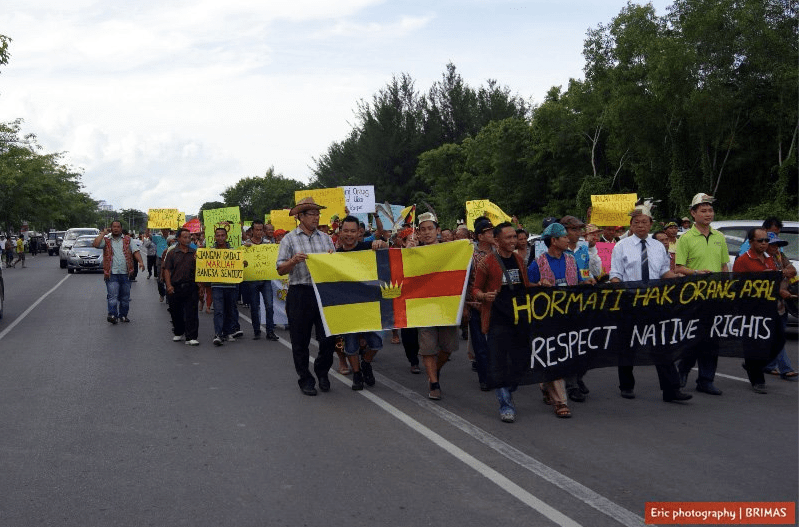 Time and again the courts in Malaysia have found that the State Government and its leader Taib, have acted illegally in appropriating the timber and native customary lands of indigenous peoples, without so much as a by your leave. 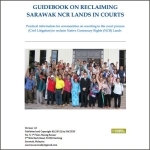 “Despite an array of judicial decisions on the indigenous customary land rights/title over the last two decades, the executive machinery at both the state and federal levels in Malaysia have continued to operate in the same manner as it had before – issuing licences for logging, plantation and other resource extractive activities without prior consultations, disregarding the authority of pre-existing traditional laws and customs of the people, from which inherited claims of rights on customary land are rooted. Numerous native communities, who have won their cases in court have yet to receive any satisfaction in terms of seeing their victories reflected in improved behaviour on the part of their State Government. The Chief Minister has just carried on handing out licences as before, ignoring traditional native rights. 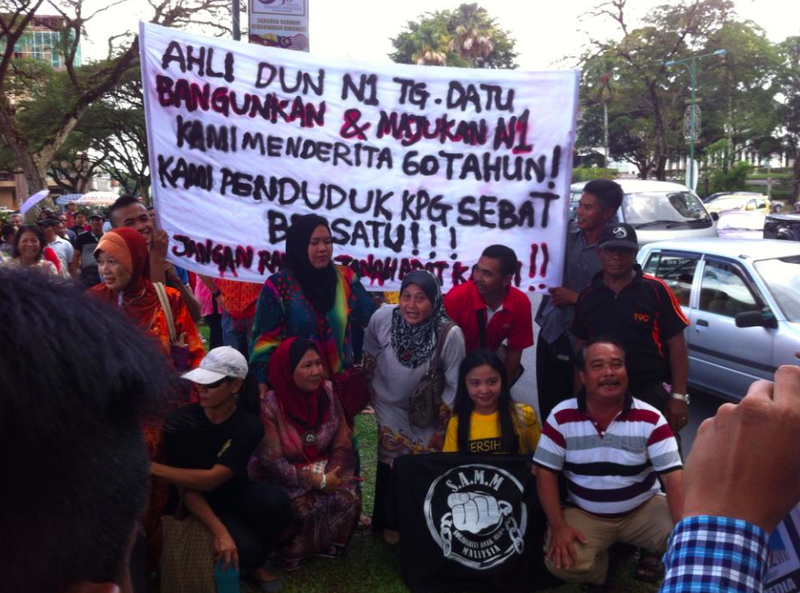 All over Sarawak people are beginning to get the message that Taib’s mode of government is as old and outdated as he is and if he refuses to listen there will be more marches for change. Then change may very well come. All the developments in Sarawak over the last 33 years had been for the benefit of the thief minister, his family members and close cronies. Which chief minister in the world and his children had ever became a billionaire by controlling a small population of less than 3 million people ? ULTRA-CORRUPT TAIB & HIS INSATIABLE GREED FOR MONEY & POWER KNOWS NO LIMITS IN THE DESTRUCTION OF THE RAINFORESTS IN SARAWAK. IT’S TIME FOR US TO TO UNITE & SPEAK UP AGAINST THIS KLEPTOCRAT!!!! taib not only crossed a line but he has crossed many lines already and will cross many more. He even crossed his own line by not stepping down as cm after he said so so many times already. The only line he has not crossed yet is DEATH and that is the line we are all waiting for! Pakatan must start to walk and work with the rural and poor community in Sarawak by empowering them economically by initiating agricultural projects and agro tourism. Intensify voters registration and political awareness. Teach rural voters of their right to demand development from the government of the day and developing their own land at their own terms . We must stand united on Allah issue, NCR land and displacement and forest destruction by the paramount thief monister’s dubious dams and SCORE. Hundred of millions development fund had been hajacked from other rural constituencies in the last 8 years to Tanjung Manis which is today a white elephant but the main beneficiaries of Tanjung Manis development were companies owned by or associated with Taib Mahmud’s children and family.The same shall happen to Mukah, Balingian and Samalaju where all major prpjects and industries were undertakened by CMS group of companies, subsidiaries or companies owned by the thief minister’s daughter. 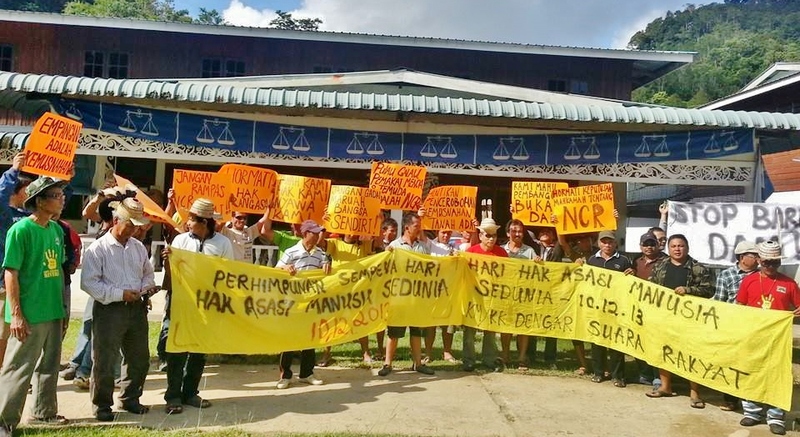 Enough is enough and we do not expect a single Dayak lawmaker from BN to speak out and put their feet down for the Dayak community living in rural Sarawak. 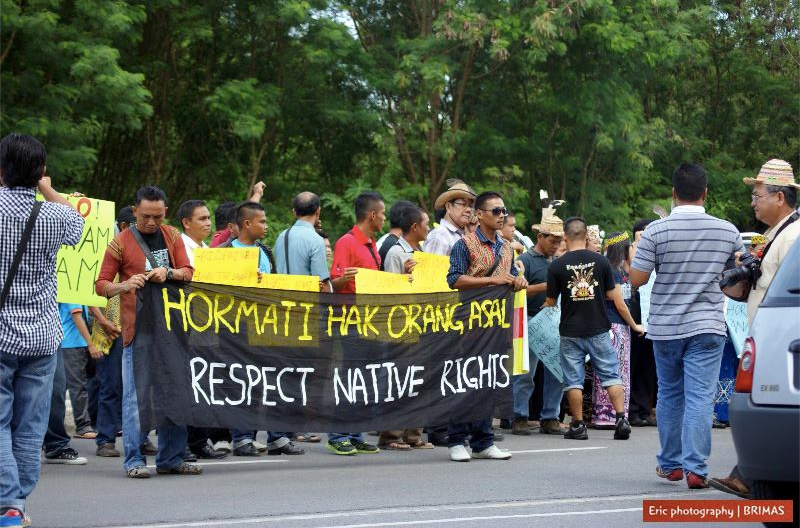 The Dayak community themselves must stand united to kick out Taib Mahmud and UMNO Baru controlled BN in Sarawak. Sharpshooter….101% correct. Come election all these rural people…. I dare to the Ibans and the orang ulu will still vote for BN! Last election proof it, would say all the rural seat were won by BN. 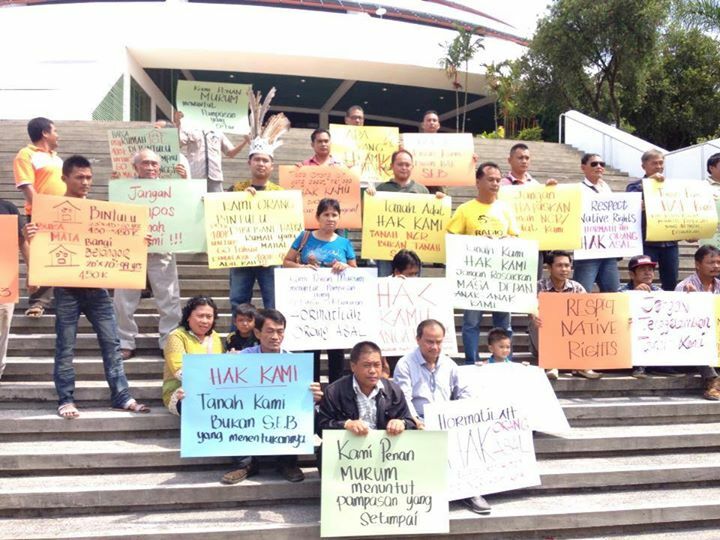 Why would the PR lawyers defending all these Dayak land been taken away…..let them suffer lah. I am dubious about all these shows. Come election, these people will be easily bought over or too drunk to go voting. This is how cheap, useless and hopeless most of them are. I only wish I am wrong. But can I blame myself for witnessing this trend so many times? Take heed of the recent rallies at the main towns in Sarawak. The rural people were sending up a very strong message to the authority, saying “you better watch out or else, don’t regret about it later, or something else, for better or for worst. I don’t have the answer to it. However, remember the ever ready Fixed Deposits there. The current in a river could either deliver a man to his destiny or overturn and drown him, if he were to sail against its course.